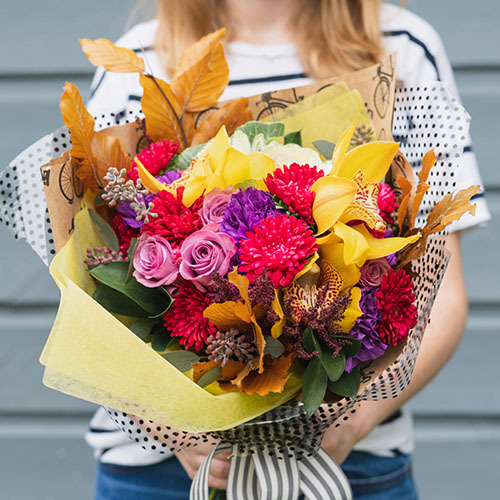 Send a professionally designed premium floral bouquet with up to 35 stems. The perfect gift for yourself or someone else. Your bouquet will ship around the 16th-18th of the month. *subject to change based on availability. Flowers, color & design created just for you! Not exactly as shown.